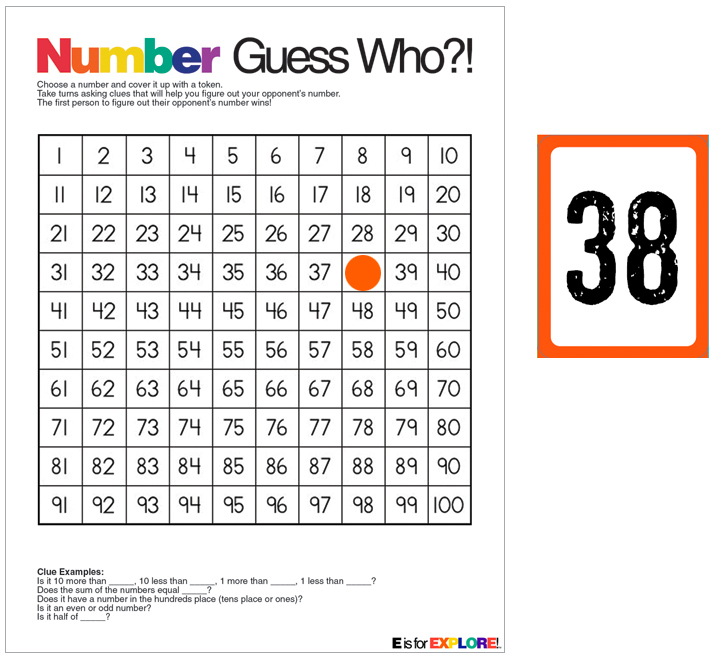 Number Guess Who - 2 player game: Kids choose a number off of a hundred chart. Then, they take turns asking each other clues to figure out their opponent's number. Is it 10 more than _____, 10 less than _____, 1 more than _____, 1 less than _____? Is the sum of its numbers _____? Does it have a number in the hundreds place (tens place or ones place)? Is it even or odd? Is it half of _____? 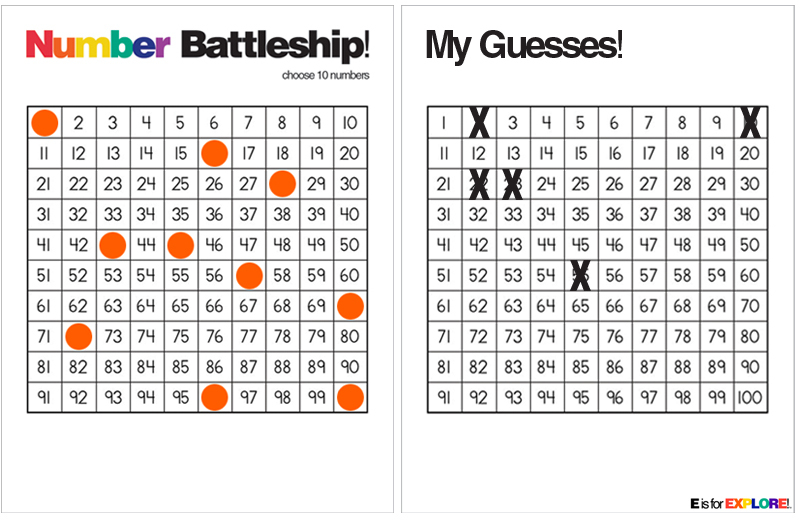 Number Battleship - Like Number Guess Who, but kids choose 10 numbers. Each player needs 2 hundred charts (one with his numbers covered and one to mark off his hits and misses). When a player guesses a correct number, his opponent gives him the token that was covering the number. The first player to collect all of his opponent's tokens first (and clear the opponent's board) wins! Hi! I'm looking for the download as well. Could you attach it please? LOVE this blog!!! I love this activity. Could you let me know where to find the temmplates please?